For the reproduction of particularly low frequencies a special loudspeaker is required developed especially for this purpose. 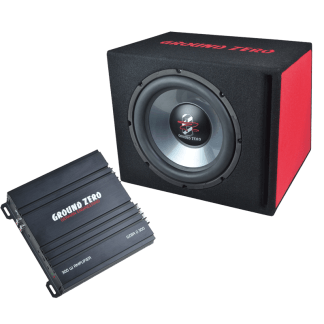 Subwoofers can cover all demands on bass reproduction when fitted into a suitable enclosure. In addition, an amplifier with sufficient power output must be used. GROUND ZERO offers matching components as a bundle called Bass Kit.